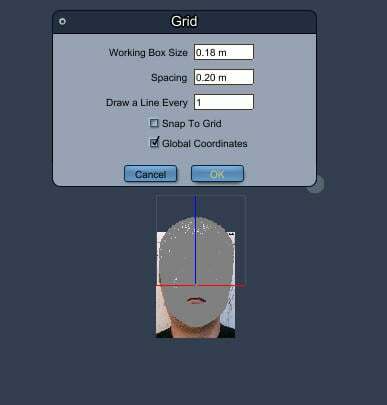 I am new to Carrara and I need some help to create a custom face. 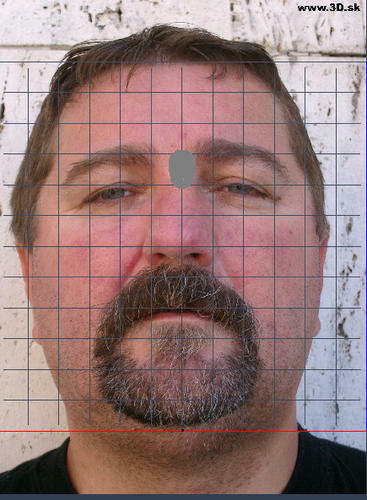 I found a tutorial tghat I have been trying to follow but I got stuck when it came to resize the photo to fill the head. The size won't change and I can't align it with the 3d head. Moreover, I would like to know if this method will allow me to produce a 3d head that will look like the picture or if I am just deaydreaming. Thank you in advance for your support and answers. That looks interesting. But will the character be rigged to be animated (I use Iclone to make my characters speak)? As for the tuto I was mentionning in my first message, do you think it could work too? Afflicted, but I never used it but I saw surprising results! I am sure that somebody will be able to inform you (when he's awaked, hello Dart ?…). The tut you mentioned does work, but it gives far too much work to do. 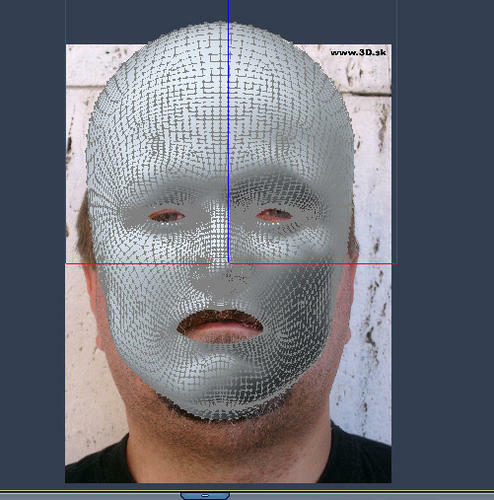 At the start, simply go to the top menu, Selection->Select by Shading Domain->Skin Face. Then invert selection. Be sure to save your result under a different name, or you'll overwrite the original. 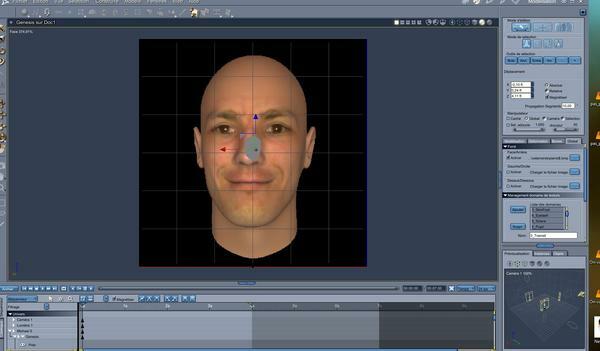 The head on my avatar was made from two photo's - full face and side view - using a free app FaceWorxs, parented to M4 body. well, I tried Faceshop but I did not get any satisfactory result. Can anybody help me with the tutorial (see link in one of my posts above)? 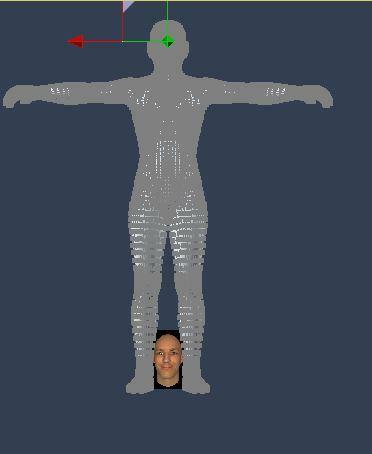 I just can't make the photo match the 3D head (see the attachement: this is where I am blocked). It worked for me by following the tut exactly - except for the initial preparation, as I wrote in an earlier post. My ref pic also started out huge. Mine doesn't exactly match because the pic isn't a perfect head-on shot, but was the best I could find quickly. Can you tell me how you managed to give the photo the same size as the 3d head. I keep repeating the process but I don't get the part about the grid. I set it to different numbers, the size and number of squares change but the picture stays the same. I had to go through a few iterations of re-sizing the grid and aligning the working box to get the sizes matched - finally got it at .18m. This will vary, depending on the size of the reference pic. I must be stupid but I can't do it. And yet, when I follow tutos, I usually succeed. I wish it were a video, I would probably get it. Don't give up so easily! 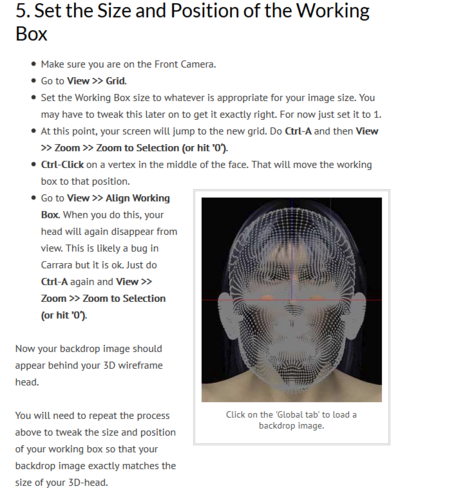 From what I can see, you are one click away from making it work - once you have the working box sized correctly, which it appears to be, you Ctrl- click on a vertex in the centre of the face, select "align working box" and the next click in an empty space in the viewport will jump the working box to the face. Have another shot at it! Please, please! Be precise - this is NOT Faceshop, OK?